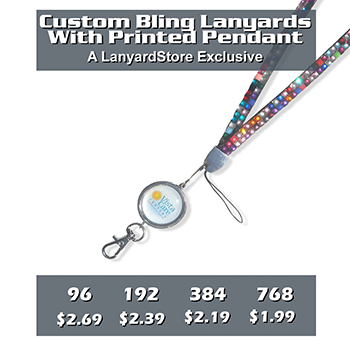 Custom bling lanyards with a custom pendant. 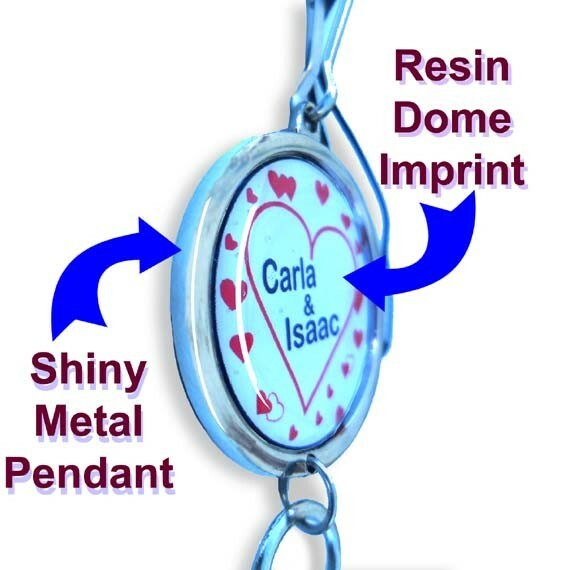 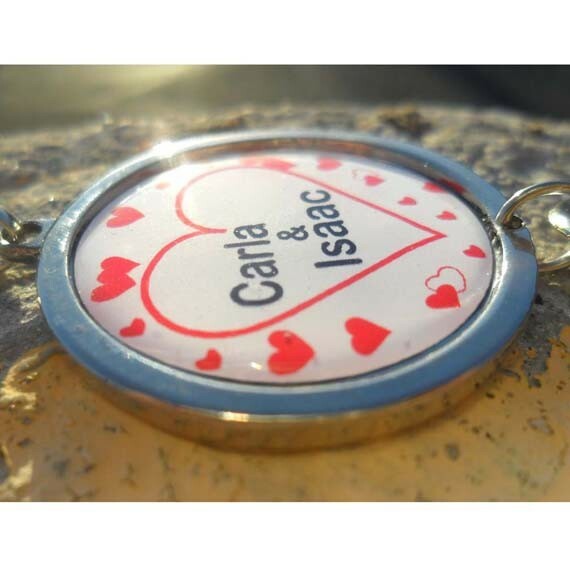 Full color resin dome imprint on a hanging medal medallion. Comes standard with trigger hook and cell phone loop. 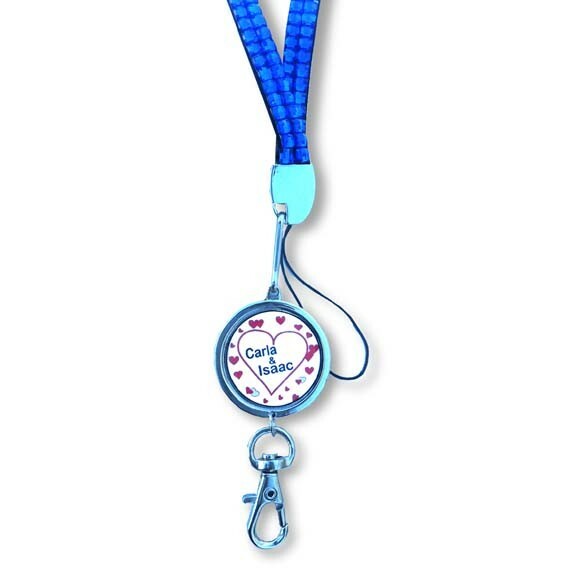 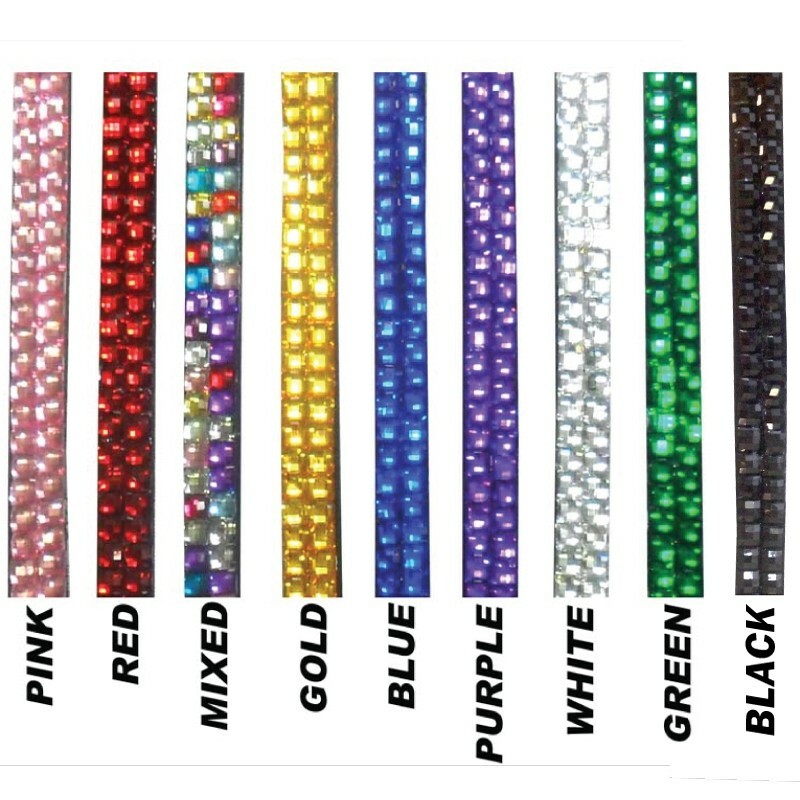 Bling rhinestone lanyards are a very popular item. 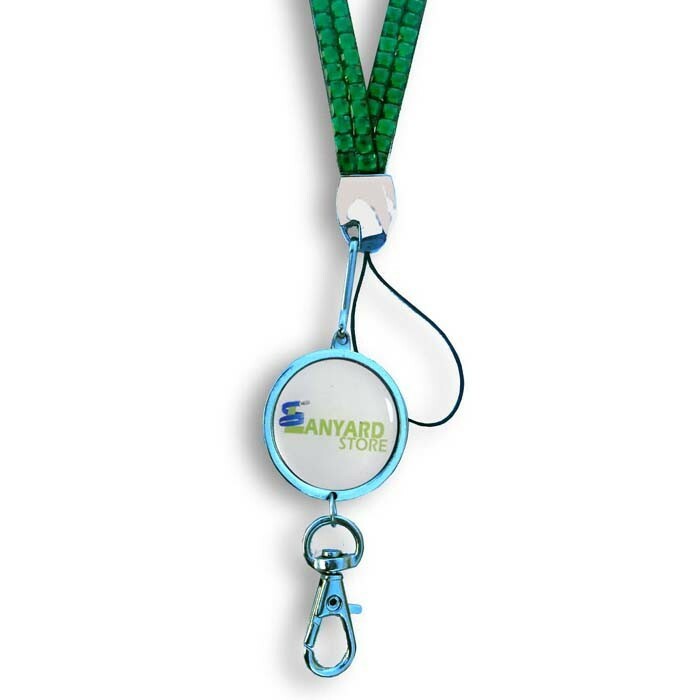 This is a lanyardstore.com exclusive item, designed by us and unavailable anywhere else.